Boise Brewing received a bronze medal at the 2017 Great American Beer Festival (GABF) competition. Presented by the Brewers Association, GABF is the largest commercial beer competition in the world and recognizes the most outstanding beers produced in the United States. 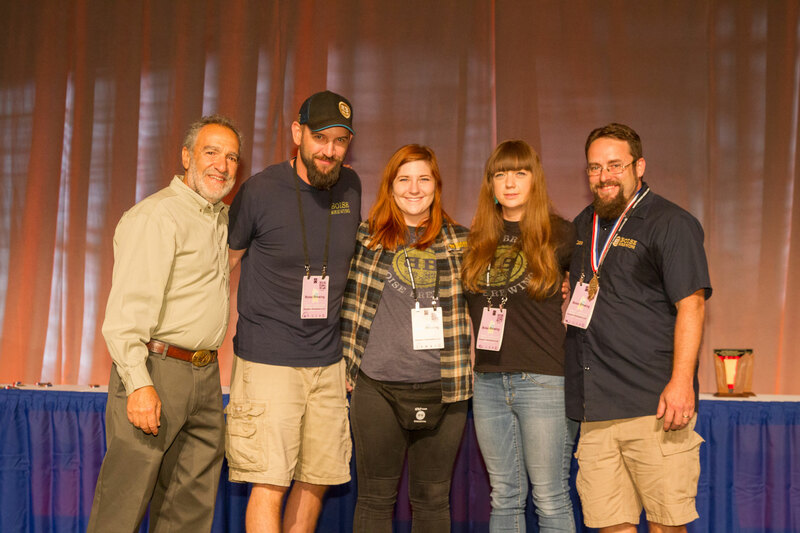 The top three winners in the competition’s 98 beer-style categories were announced October 7 at the Great American Beer Festival awards ceremony held at the Colorado Convention Center in Denver, Colorado. “The craft beer industry continues to grow so much each year it becomes harder and harder to medal at this competition, especially when there are 8,000 entries. Being able to bring home a medal for the third year in a row is an incredible feeling,” said Lance Chavez, Head Brewer at Boise Brewing. “I am so proud to be representing Boise and helping to put Idaho’s craft beer scene on the map”. Boise Brewing was recognized in the Imperial Red Ale beer-style category for its Jagged Shard, a full-bodied, hop forward ale with a malty caramel finish. This beer got its name from an incident on the bottling line, after an employee accidentally dropped a bottle. Jagged Shard was born and is the perfect name for this deceivingly smooth high gravity brew. Boise Brewing is a 15-barrel microbrewery located in Boise, ID that specializes in approachable, authentic, and high quality beers.